Our foul ball nets are made out of 1 7/8" sq. mesh knotted netting. 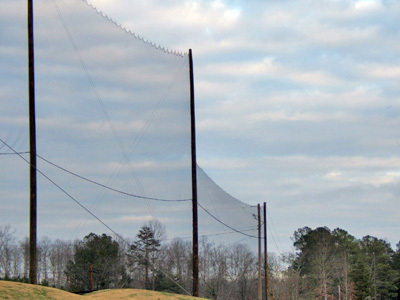 Nets can be made out of Nylon or HDPE, in the tensile strength of your choice. Every net is bordered with 3/8" hollow braid polypropylene rope on all four sides with reinforced corners. Our goal is to have your park looking its best. Our extensive list of repeat customers can vouch for our quality and customer service. 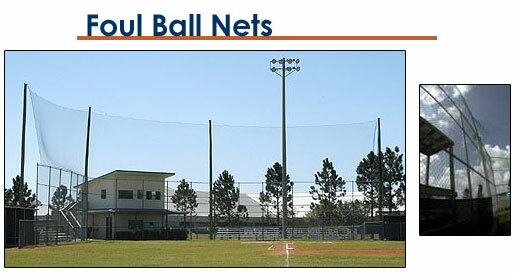 FOUL BALL NETS ARE MADE ON ORDER & CONSIDERED CUSTOM MADE AND ARE NOT RETURNABLE, EXCEPT FOR MANUFACTURER DEFECTS.